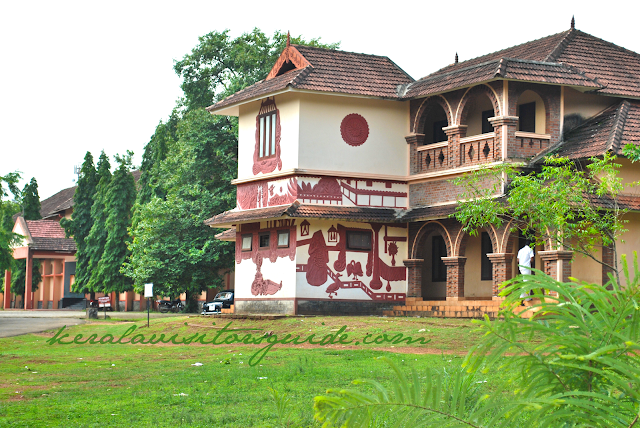 Founded in 1930 by Legendary Indian poet Vallathol Narayana Menon Kalamandalam lately renamed as Kalamandalam Deemed University of Art and Culture, is a major centre for learning Indian performing arts. With its strictly residential learning system (know as the Gurukula Sampradaya) blended with Modern University System, it has acquired an immortal name in the cultural map of the world. The Maharaja of Cochin donated land along the banks of the river Nila in the Cheruthuruthy village of Thrissur District of Kerala in 1933, which has recently received an 'A' grade from the University Grants Commission (UGC). The inception of Kalamandalam gave a second life to three major classical performing arts of Kerala, as Kathakali, Kudiyattam and Mohiniyattam were, by the turn of 20th century, facing the threat of extinction under various regulations of the colonial authorities. Classes in Kalamandalam happens individual class rooms called Kalaries starting early at 4.30 in the morning and continue till late evening. All the students stay in the campus as this is strictly a residential University. 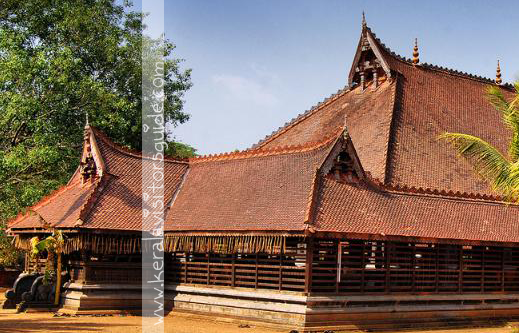 The Kalari training focuses on physical exercise, body massage, recapitulation and repetition of lessons learned. Teacher-disciple relation here is exemplary. Visitors can stand outside the Kalaries to enjoy the study classes at times. So the best time to visit Kalamandalam is before 11:00 AM, which is when most of the performing arts classes happen. There are 1000s of students from different countries, attending classes here every day. The Art-Gallery at Kalamandalam is a must watch, which has neatly exhibited elegant statutes of different Kathakali characters and those of other performing arts.The statues are in fiber conceived and created by the renowned artiste Namboodiri. The outer walls of the Gallery have beautiful mural paintings by artiste Suresh and his colleagues of the Vaasthuvidya Gurukulam, Aaranmula. For art-lovers and cultural-enthusiasts, there is much more to see in Kalamandalam. The Vallathol-Museum at Cheruthuruthy showcases the poetic works, cultural contributions and achievements of Mahakavi Vallathol over a long period of time.